In case you've not noticed, I love a good challenge and I'm hooked on the Joy of Sets challenges. They're such fun. If you've not joined in yet have a go by checking out the Blog for a monthly letter themed challenge or the Facebook group for birthstone themed challenges. Even if you don't fancy entering a challenge you can find a stamp set album and pop in your creations using that stamp set whenever you fancy. These sharing activities really do show off the vast potential of Stampin' Up! products and the huge versatility of the range. 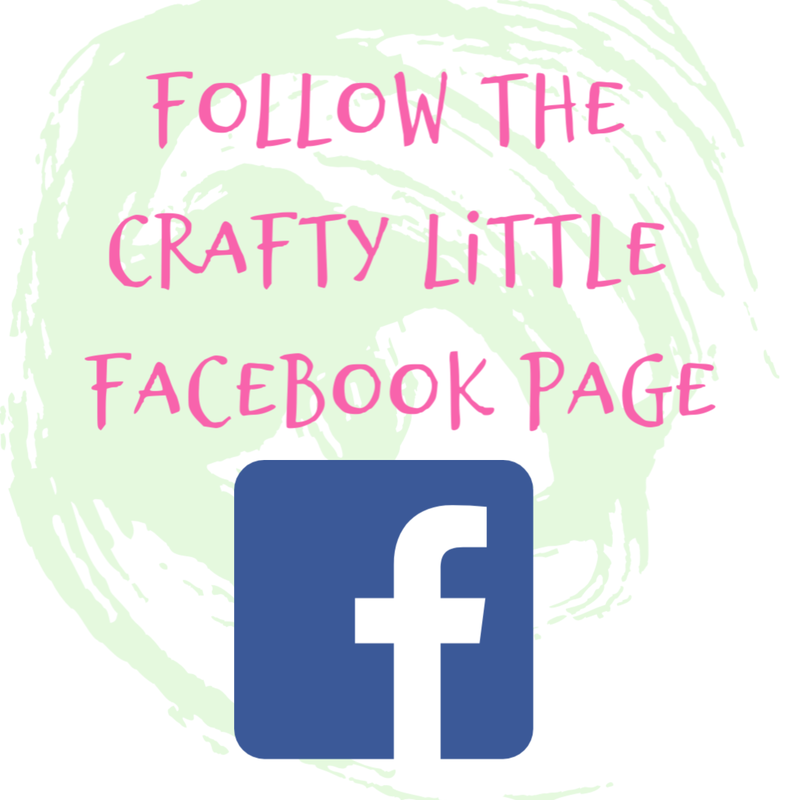 So even if you don't want to join in, go and have a look at what you can do if you're a beginner or get some inspiration if you're looking for that perfect card and have hit a creative wall. This is my entry for the Joy of Sets Blog challenge this month which had to be themed around the letter B. As usual I've gone to town with my B's and came up with this Berry Burst Baby card. I actually think it's the cutest card I've ever made and yet it's very simple... well it would have to be for me to make it! 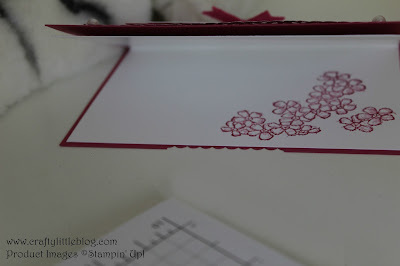 So I used a Berry Burst cardstock tent fold base and inside I added a Whisper White layer to add strength but primarily because I wanted to stamp on the inside. I did just that using Berry Burst ink and a gorgeous stamp from the Birthday Blossoms set... more B's! I affixed this using a little Tombow liquid adhesive across the spine. Next I opted for a Berry Burst based designer series paper from the Colour Theory range by Stampin' Up! to create a mat. I'll let you into a secret now, when I first saw the Colour Theory DSP I thought "What horrid designs, what on Earth will anyone make with that?". Then I thought, "Come on now Miss Demonstrator stop having your tantrum, order some and do something beautiful with it". So I did and I proved myself wrong and have made some really pretty projects using this fab DSP and know that hundreds of other gorgeous makes have been shared using it too. Next I added a Whisper White layer but first I stamped it using a flower stamp from the Background Bits stamp set. I used Berry Burst ink again but stamped off this time to give it a less brilliant finish as I wanted it to compliment the sentiment not fight with it. I LOVE the Background Bits stamp set and know I'm not alone in that. It's gorgeous. Next I took my Decorative Ribbon Border Punch and made a little Berry Burst cardstock ribbon to edge just the bottom of the stamped cardstock and finished each end off with a pearl from the Basic Jewels set. These covered up the mini-dimensionals I'd used to adhere the ribbon to the card. I chose to use dimensionals rather than tombow to give a raised effect to the project and it did work a treat. So far my mat and layer and insert had been attached using Tombow but I chose to attach the sentiment layers using dimensionals to give some depth to the card. I took a simple Berry Burst rectangle and added a slightly smaller one in Whisper White which I'd stamped using Berry Burst ink. 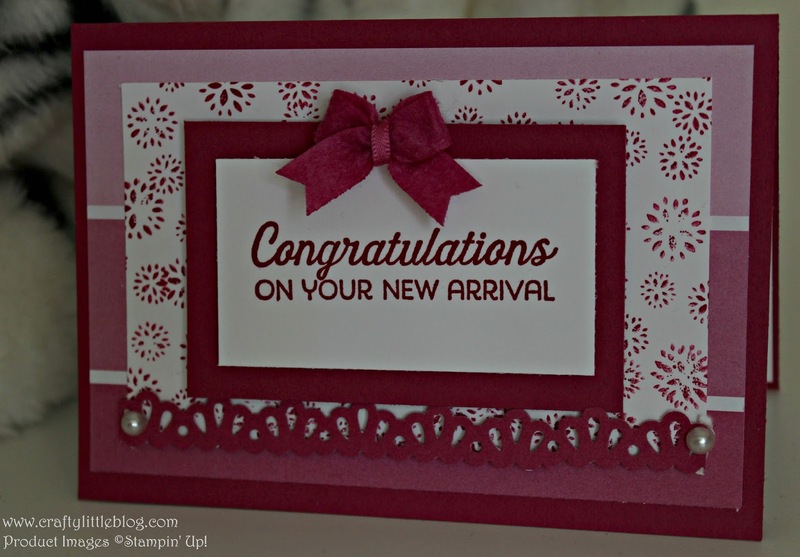 The sentiment is from the Better Together stamp set which is a fantastically versatile set. 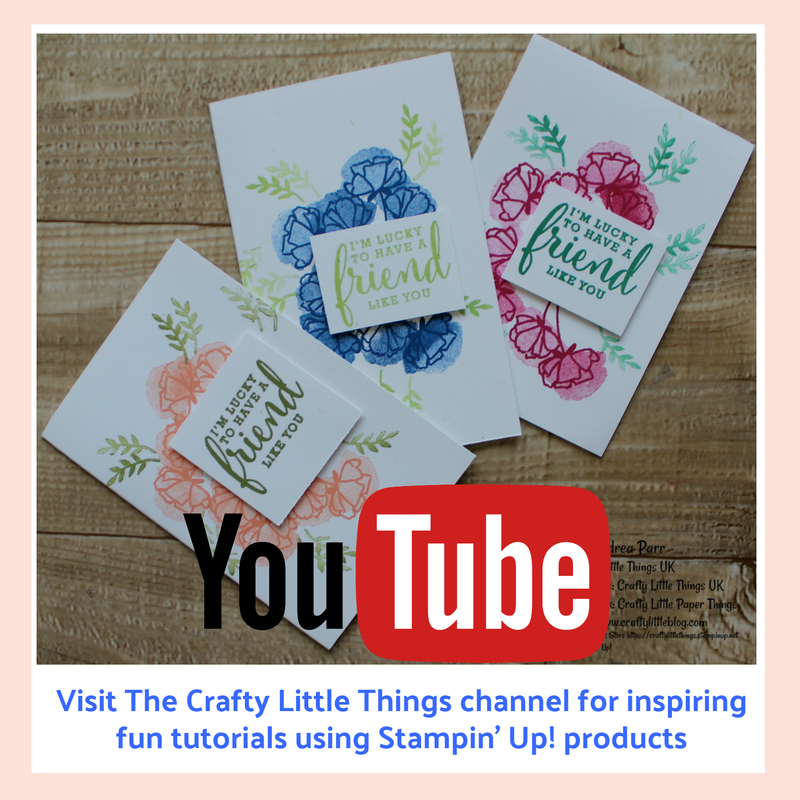 TOP TIP: If you're a newbie to Stampin' Up! I would definitely recommend Better Together as a good staple to start off with. It has a sentiment for more or less any occasion plus a few cute little image stamps. I finished the whole thing off with a Berry Burst Bitty Bow from the 2017-19 In-colour set. Hope you feel inspired to try this gorgeously simple card for yourself or to take it and make it something special of your own. 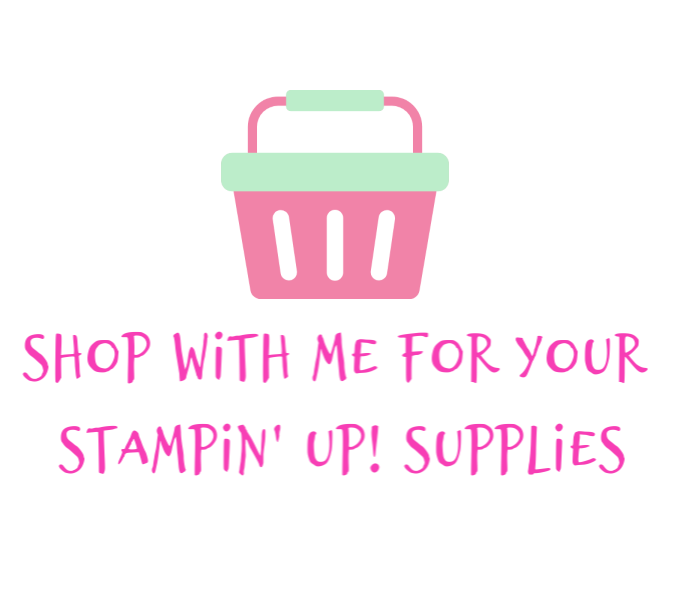 Thanks for dropping in, as ever all products used are linked below and a click will take you straight to my Stampin' Up! store. If you do visit, remember to check out the Clearance Rack for cut price goodies. A beautiful card Andrea and so pleased you entered our challenge. I like how you write you posts to incorporate words using the letter 'B'. It just happens like magic. 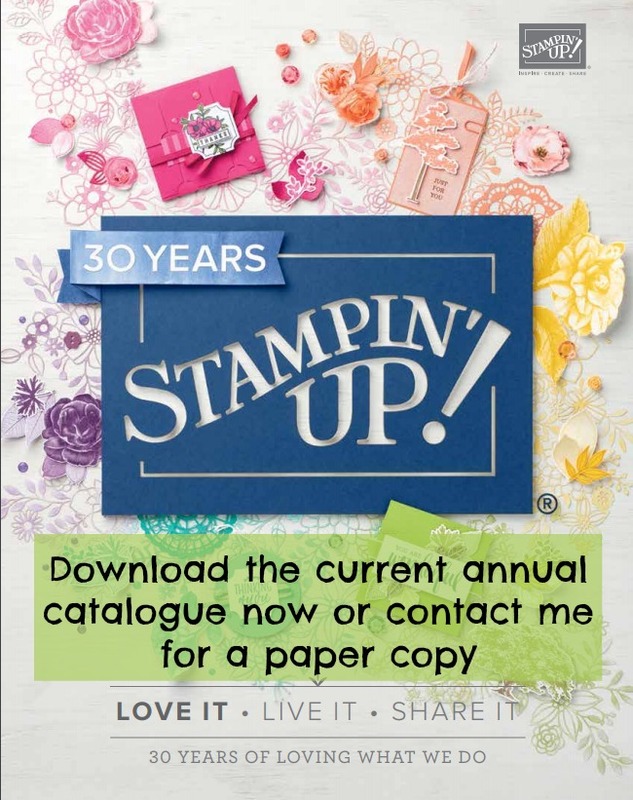 I think it helps that Stampin' Up! do come up with some fab names for the sets and the alliteration on the colours helps to really go to town when the right letter comes up, but then with 50 to choose from we're going to find it hard to be stuck.. I know that DSP looked horrendous and I remember seeing it on the pre-release and thinking what? Wondering what kind of a replacement that was for those lovely colour scheme themed DSP stacks. Now it's one of my favourites. Thank you Jaxx. I love Joy of Sets and the challenges. I try to get something in for each of them and to share and encourage others to join the gang.